School of Mechatronics, Harbin Institute of Technology, Harbin, Heilongjiang, 150001, China. 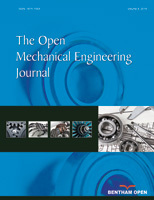 A new airfoil design method for H type vertical axis wind turbine is introduced in the present study. A novel indicator is defined to evaluate vertical axis wind turbine aerodynamic performance at variable tip speed ratios and selected as the airfoil design objective. A mathematic model describing the relationship between airfoil design variables and objective is presented for direct airfoil design on the basis of regression design theory. The aerodynamic performance simulation is conducted by computational fluid dynamics approach validated by a wind tunnel test in the study. Based on the newly developed mathematic model, a new airfoil is designed for a given wind turbine model under constant wind speed of 8 m/s. Meanwhile, the comparison of aerodynamic performance for newly designed airfoil and existing vertical axis wind turbine airfoils is studied. It has been demonstrated that, by the novel indicator, the rotor aerodynamic performance at variable tip speed ratios with the newly designed airfoil is 6.78% higher than the one with NACA0015 which is the airfoil widely used in commercial H type vertical axis wind turbine.